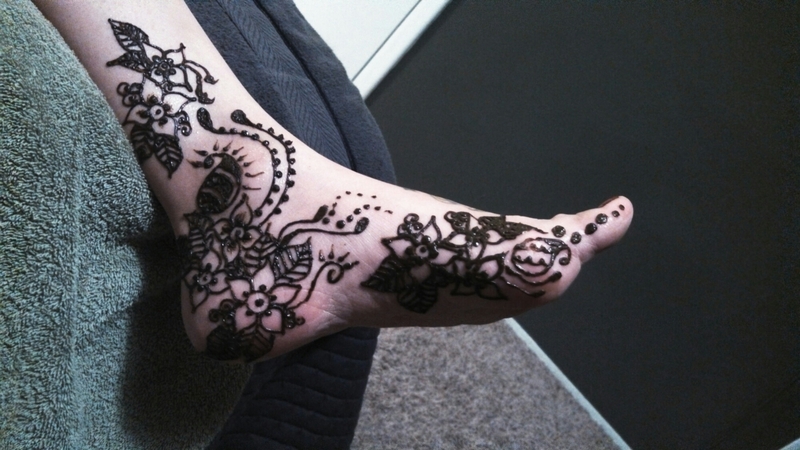 There are many sealants available to protect and bring out the color in your Henna designs. This article will briefly go through some of them, please use this as a start towards your own research. Comments, tips and even your own preferred sealant methods are welcome. In this article we will go over common sealants for body art. Lemon & Sugar or Honey & Lemon: this is probably the most common and well known of the body art sealants out there. Its is simple and easily made at home by adding approximately 1 part lemon to 2 parts sugar or 1.5 parts honey. Dissolve the sugar/honey into the lemon juice over low heat. Once it is ready and cool, you can put it into a bowl and add a few cotton balls for application. This way everyone can continue to re apply the sealant a few times throughout the night. I like to put mine in a spray bottle and spray a few squirts onto the paste. Make sure that the paste is dry enough before sealing, otherwise your henna will begin to run. The sugar keeps a protective barrier from the air while the lemon keeps the henna wet and also pulls out more of dye onto the skin. Caution: too much sugar will make your henna crack and too much lemon will make your henna run. Hairspray or spray gel: Some people use non toxic hairspray hair spray or spray gel. This really keeps the henna firmly on. The hairspray tends to dry the henna out quick, where as the spray gel keeps it wet longer. Cotton Balls & Tape: once your henna has dried on top, you can use cotton to cover the design and then tape to secure the cotton balls. You can leave it like that or cover it with a plastic bag. With a plastic bag, your henna may stay too wet and can easily smudge. Fixative Tape: This is also one of my favourites and what I use in private bookings, bridals and pregnant bellies. Once the Henna has dried on top I wrap it up using fixative tape, this keeps the henna wet and in place. It is comfortable and leaves clients free to move and continue with the day. When you remove the tape, the henna comes off with it… almost perfectly. Saran or plastic wrap: This is must for the hair or eyebrows as we do not want the henna to dry at all on the hairs. But it is also a good one to add on top of some fixative tape, cotton, toilet paper or paper towel. Like I mentioned in the beginning of this post, these are the most common and also great to combine them. 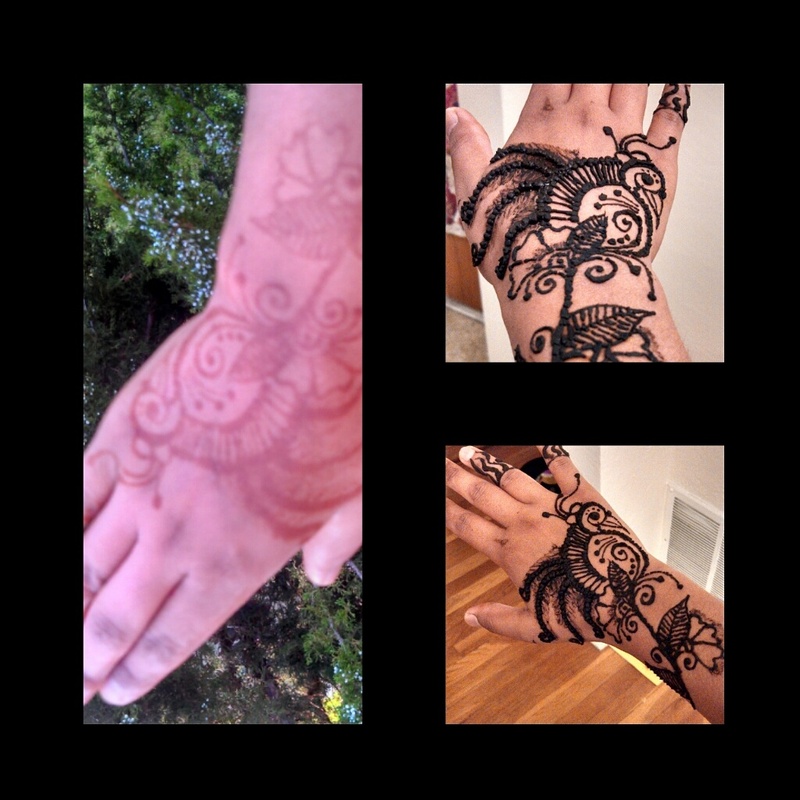 There are many other methods of securely sealing your Henna designs. Have fun and experiment! Paste applied after child birth is a considered a reminder for the mother to use her support and accept the love. Catherine Cartwright Jones, a then medical anthropologist student, has beautifully written a detailed paper on the traditions and meanings of post partum henna care as part of the healing of process of child birth. We have all become more conscience of protecting our skin from the strong UVA and UVB rays that can cause cancer. We search out the best sunscreens, wear big hats and longer sleeves. But did you know that Henna is a major ally in our fight against cancer? Please click here to view research journals on henna’s antimicrobial properties and its use in other conditions, disease and illnesses. Aside from henna being a natural sunscreen with both UVA and UVB protection, it has also been found to be an excellent preventative for cancer. It has been found that topical application of henna has been found to decreased tumor incident rate down by 70% and multiplicity of a tumor by 40%. Chemotherapy is a must for many to survive cancer, however this treatment brings along with it many side effects, one of them being Hand and foot syndrome (HFS). This is when your hands and feet burn, and feel so hot you can barely function. Henna, once applied to the skin, cools the body down significantly and removes the burning sensation within minutes. Giving much relief to the person affected by HFS. Once chemotherapy is complete, patients are left exhausted, self conscience and hairless. Henna applied to the scalp feels good, looks beautiful and helps therapy by lifting the spirit. The beautiful swirls over the scalp lift self esteem and act as a reminder of triumph. This is safe and fun for all ages, children enjoy this the most as they usually feel the most conscience of the side effects of chemotherapy. Were you made to walk on flowers? Want this done on your hand?